The Beida-based government of Abdullah Al-Thinni has stripped General Mohamed Al-Madani Al-Fakhri of any residual role at the interior ministry and ordered no one to have any official dealings with him. The announcement today follows denials from both Thinni’s spokesman Abdul Hakim Matouq and House of Representatives (HoR) spokesman Abdullah Bulaihak that HoR President Ageela Saleh had ordered Al-Fathri’s reappointment as interior minister. “It’s not true,” he told the Libya Herald. All that had happened, he said in a separate statement on the Beida government’s Facebook page was that there had been discussions with the HoR about ministerial appointments. 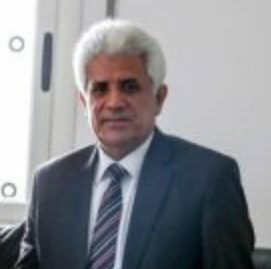 Sources close to both the government and the HoR, however, insist that both the reappointment and the resignation threat had happened, but that Ageela backtracked when Thinni said he would quit. “They are afraid of him resigning”, the source said. Reports that the HoR president had reappointed Al-Fakhri appeared on social media yesterday. He was also said to have made him head of homeland security. Al-Fakhri was suspended by Thinni as interior minister earlier this month but was left as an “acting minister” but in fact not allowed to do anything. He had been appointed interior minister a year ago. An airforce general, he is said to have the backing of Field Marshal Khalifa Hafter and is popular with police forces in the east. A few days after he was dismissed, interior ministry officials – mainly working in security – stated their support for him. Thinni has, however, backtracked on the dismissal also earlier this month month of Reda Al-Oakley. He is back in position as health minister. He too is said to have had the support of both Ageela Saleh and Khalifa Hafter.